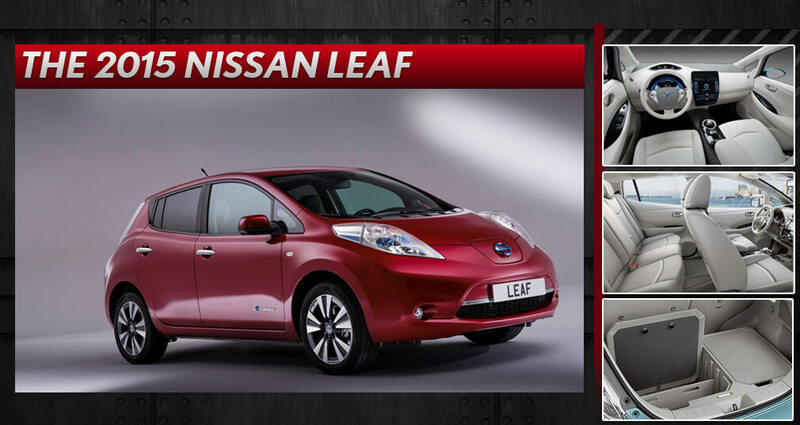 The New 2015 Nissan LEAF Is a Lean, Mean, Go-Green Machine! Why settle for more of the same when you can take the future for a spin? 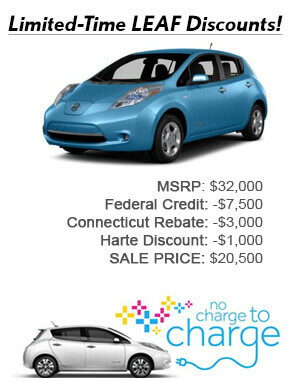 That’s the question Nissan poses as it introduces its 2015 Nissan LEAF, now available at our Nissan dealership in West Haven, CT. With charging stations dotting the state of Connecticut making it easier than ever before to top off your battery and go, it’s time to hop into the new LEAF and leave the past behind. The key perk of buying an electric vehicle is the chance to kick gas station pit-stops out of your weekly routine. With an electric motor powered solely by an advanced lithium-ion battery, the 2015 Nissan LEAF grants owners an incredible 126/101 city/highway MPGe. You’ll spend far less time jockeying for a position at the gas station and much more of it enjoying the journey. 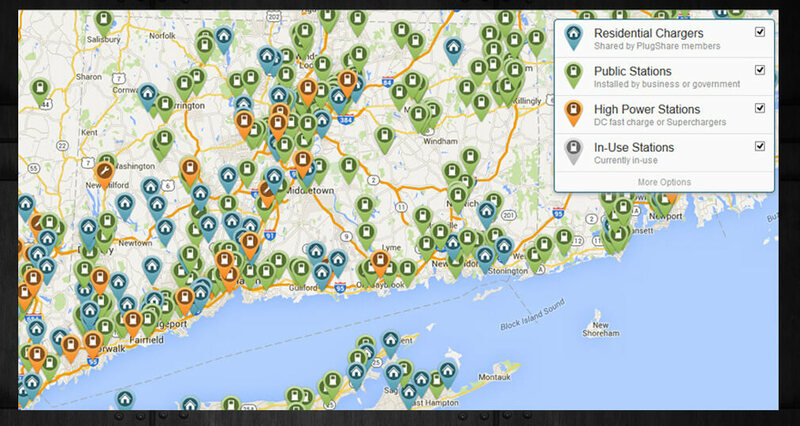 When you do need to “fill up,” there are more than 19,000 public charging stations in just the United States, with quite a few of them found here in the Constitution State (see the chart below). You can even keep tabs on the charging process on your computer or through the smartphone app, so you can go to the restroom, grab a bite to eat or stretch your legs and come back when the job’s done. You leave gas engines behind when you drive your 2015 LEAF, but not at the expense of power or performance. You have all of the horsepower you need to weave through traffic and highway lanes, but without the drivetrain of a gas-powered vehicle, you have instant torque and acceleration — no lag, no gear shifting, no problem. You won’t hear the vibration and engine whine you’re used to in other vehicles, thanks to the quiet advanced 80kW AC synchronous electric motor. Pair those improvements with killer standard features like heated front and rear seats, Bluetooth hands-free functionality and a RearView Monitor and you’re looking at one smooth and satisfying ride.